Since we have been talking about Intel Haswell processors and NVIDIA GeForce GTX 700M GPUs throughout the day, why not check out one of upcoming product that will actually utilize both processors? Well, some of you might heard its official announcement recently: the all-new 2013 Razer Blade. 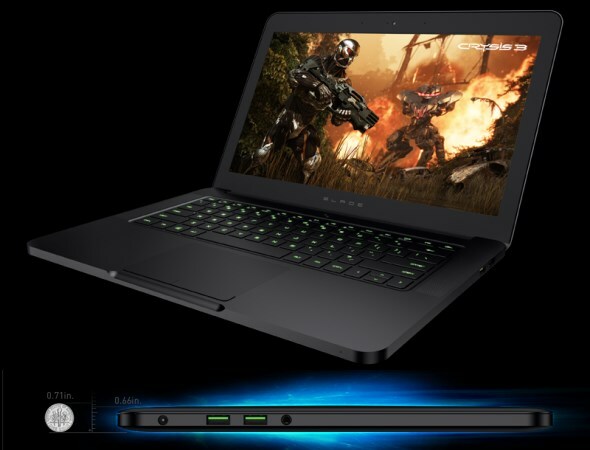 While the original Razer Blade is a gigantic laptop that comes with 17.3-inch full HD 1920×1080 display, the 2013 Razer Blade is way smaller with its 14-inch 1600×900 display and the company is apparently pretty proud with its 0.66-inch profile to the extent that they are calling the new 14-inch Blade as the world’s thinnest gaming notebook. However, that doesn’t mean Razer have moved on from 17-inch form factor just yet. Instead, they actually come out with a newer one called Razer Blade Pro. Despite the fact that the Blade and Blade Pro are indeed technically and physically different, they do share a lot of things together. 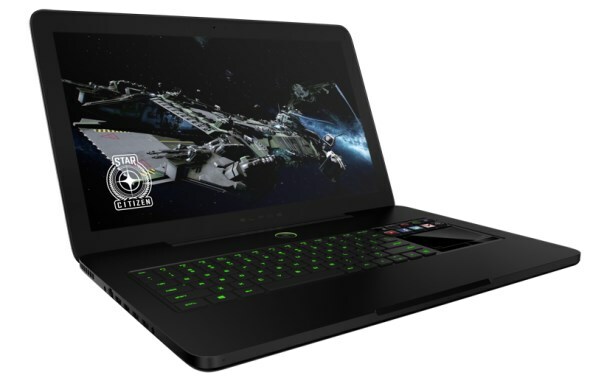 This include the 4th generation Intel Core processors, Intel HD4600 integrated GPU, NVIDIA GeForce GTX 765M discrete graphics with the 2GB GDDR5, Qualcomm Killer Wireless-N 1202 adaptor, 8GB of RAM, 128GB SSD (with options to upgrade to 256 or 512GB), anti-ghosting keyboard with adjustable backlight and support for Razer Synapse 2.0. How about things that separates them apart (other than their obvious differences in size)? First and foremost, the Blade Pro is equipped with the Switchblade User Interface and the multi-touch LCD track-panel just like the original Razer Blade. Additionally, the Blade Pro also features a LAN port while Blade owners have to make do with only a wireless connection. Not to forget, the Blade Pro is slightly thicker and heavier than Blade. As expected, both Razer Blade and Blade Pro will be initially available only in North America with a starting price of RM 5576 (USD 1799) and RM 7125 (USD 2299 ) respectively sometime this quarter. To learn more about both of them, head on to www.razerzone.com.